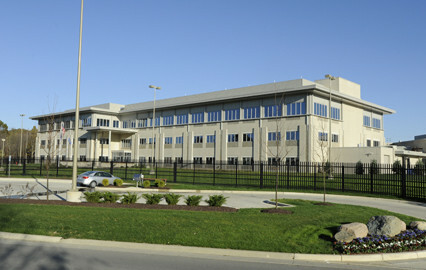 Indianapolis, IN-(ENEWSPF)- United States Attorney Josh Minkler and Assistant Attorney General John C. Cruden for the Department of Justice’s Environment and Natural Resources Division announced today the sentencing to federal prison of two individuals who defrauded investors and biodiesel purchasers of millions of dollars. Jeffrey Wilson and Craig Ducey were sentenced to serve prison terms of 120 months and 74 months, respectively, for their roles in multi-million-dollar fraud schemes involving: biodiesel tax credits, renewable fuel credits and shares of Imperial Petroleum Inc. Yesterday, Chad Ducey was sentenced to an 84-month prison term for his role in the same schemes. These defendants were the last to be sentenced from a gaggle of seven charged co-conspirators. 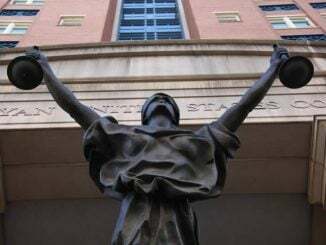 The others, Joseph Furando, Katirina Tracy, Brian Carmichael and Chris Ducey were sentenced at prior hearings. Although charged in three separate cases, all the defendants were involved in fraud involving federal incentives to produce renewable fuels, specifically biodiesel. Today’s sentences were the first to address securities fraud charges leveled against Wilson and Craig Ducey. That fraud stemmed from lies those defendants told in the course of their dealings with investors, auditors and the Securities and Exchange Commission, while representing Imperial Petroleum. Wilson, the President and Chief Executive Officer of Imperial Petroleum, was the person who drafted and certified the accuracy of Imperial’s quarterly and annual reports and made those reports available to the investing public through filings with the Securities and Exchange Commission (SEC). He also lied to the company’s outside auditor to keep him from learning of the scheme. At a jury trial in July 2016, he was convicted for his role in the fraud. In April 2015, Craig Ducey admitted to related crimes and began cooperating with the United States; he testified at Wilson’s at trial and the court recognized his substantial assistance in giving him a lower sentence than Wilson. As shown at Wilson’s trial, the securities fraud began when Wilson learned that e-biofuels LLC—a business that Wilson arranged for Imperial Petroleum to buy—was faking paperwork to claim incentives for biodiesel it had not manufactured. Put another way, Wilson learned that the e-biofuels managers fraudulently claimed millions in federal tax rebates and other incentives that had no basis in real manufacturing. Knowing that it was much more profitable for e-biofuels to fraudulently claim government incentives on biodiesel that had been made by somebody else, Wilson directed the e‑biofuels managers to move more and more gallons of such fuel rather than incur the cost associated with legitimate biodiesel production. Despite their knowledge that the e-biofuels facility was dormant, Wilson and Craig Ducey told investors, auditors and SEC that it made millions of gallons a month from raw materials like chicken fat. This defrauded biodiesel buyers—who were duped into taking bad tax credits and renewable fuel credits—and also defrauded investors, who would never have invested in Imperial Petroleum had they known its profits were based on sham manufacturing. Who does business in renewable energy in Park Forest? On Thursday, Chad Ducey was sentenced for his role in the underlying wire, tax fraud and environmental crime that were hidden by the securities fraud (he was not charged with securities fraud). Chad Ducey owned e-biofuels, together with his brother Craig Ducey, until they sold it to Imperial Petroleum in a deal that Wilson organized. Chad Ducey was intimately familiar with how the e-biofuels facility worked and knew that it was not manufacturing biodiesel between July 2010 and June 2011. Nevertheless, he twice persuaded an outside engineer that the facility was a biodiesel producer as essential steps to registering and claiming renewable fuel incentives. In addition, as shown during Wilson’s trial, Chad Ducey worked with Wilson and others to try to establish “beachheads” in Texas. A beachhead would have been a fuel transload facility used to disguise the transfer of biodiesel to an e-biofuels customer from a Texas fuel terminal where it was purchased. Essentially, a brief stop at the beachhead would have stood in for actual biodiesel production. Chad Ducey traveled to Texas in order to scout sites for the transload facility. Workers at e-biofuels called these remote, no-production transfers “ghost loads” and the transload facility was planned to hide those loads. Ghost loads occurred in Texas and between fuel terminals and e-biofuels customers in Illinois, Indiana and Pennsylvania. The wire fraud, tax fraud, securities fraud and environmental crime investigation that culminated in this week’s sentencing hearings began in January 2012, when investigators from the FBI, the Environmental Protection Agency’s (EPA) Criminal Investigation Division, IRS-CI and the SEC began meeting with a whistleblower whose statements were corroborated by government agency data. That led the investigative team to conclude that e-biofuels had engaged in sham manufacturing and tax fraud. Based on intense work at the beginning of the investigation, the team obtained a multi-state search warrant in May 2012, which yielded substantial additional evidence and witness accounts. 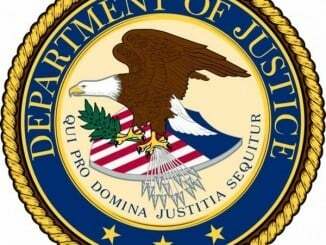 For over a year, prosecutors and attorneys from the U.S. Attorney’s Office for the Southern District of Indiana, the Environmental Crimes Section of the Department of Justice and SEC pursued the investigation of this matter with special agents of the FBI, EPA, and IRS. Their work involved nearly 100 witness interviews and the review of millions of documents. The United States approached targets of the investigation and sought pre-indictment plea agreements with them. Ultimately, one defendant, Brian Carmichael, entered into a plea agreement before indictment. The others were indicted in September of 2013. After multiple continuances sought by the defendants and one additional plea, the first case, involving tax fraud, wire fraud and false statements under the Clean Air Act, was set for a final trial date of May 2015. Ultimately, all of the defendants in that case pleaded guilty before trial. The second case, which was the case against Jeffrey Wilson for securities fraud, was scheduled for trial and then continued at the defendant’s request. It was continued and ultimately set for a final trial date of July 2016. In a two-week trial, the United States presented evidence that Wilson had lied to investors in person, through filings he created for his publicly traded company and indirectly through company auditors. Wilson was convicted of fraud in the offer and sale of securities, falsely certifying annual and quarterly reports filed with SEC, lying to a public company’s outside auditor and making false statements to investigators. Today’s sentencing hearing establishes Wilson’s punishment for those convictions. According to Steven DeBrota, Senior Litigation Counsel for the Southern District of Indiana, Thomas Ballantine, Assistant Section Chief of the Environmental Crimes Section for the DOJ and Jake Schmidt, SEC Senior Attorney, all who prosecuted this case for the government, Wilson must also make $16 million in restitution.